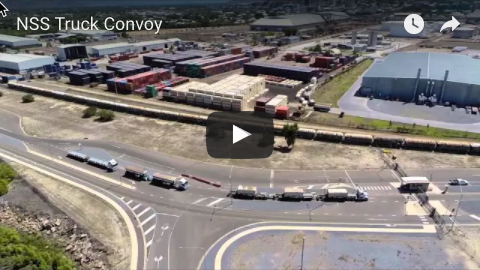 Port of Mackay will welcome its first roll-on roll-off (RORO) trade this month, when NSS will handle the cargo of four massive mining trucks bound for the Bowen Basin. Transport and Main Roads Minister Mark Bailey said this would be the first time a RORO vessel had come into the Port of Mackay, off the back of a $9.8 million infrastructure upgrade delivered under the State Government’s Accelerated Works Program. “With the critical METS hub just down the road at Paget, the Port of Mackay’s new RORO capability really does open up a new world of economic opportunity for the region," he said. 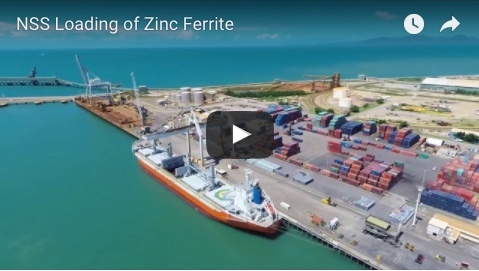 North Queensland Bulk Ports Corporation (NQBP) acting chief executive officer Brendan Webb said after being unloaded in parts at the port, the 794AC trucks would be transported to Paget for assembly. “Before the infrastructure upgrade, RORO vessels could not berth at Mackay and this cargo would instead have had to travel large distances along the highway from southern ports,” he said. The RORO upgrade (pictured in progress below) involved replacing the fenders at two wharves within the port and amending the wharf infrastructure so that a RORO ramp can be used to roll cargo on or off a ship, as opposed to lifting heavy vehicles off vessels with a crane. NQBP marine pilots undertook training to manoeuvre RORO ships into the Port of Mackay at the Queensland Government’s Smartship Australia simulator in June. The Port of Mackay experienced its strongest trade in four years in the 2017-18 financial year, with more than three million tonnes of throughput.